This month, you’ll learn how the City of Coquitlam used new web mapping approaches to increase their productivity, techniques to embed apps and websites in story maps, how to create smart 3D cities in minutes and much more. The City of Coquitlam was an early adopter of web GIS, taking a one-map-fits-all approach to publishing web maps. But advancements in ArcGIS technology, feedback from end users and recurring challenges encouraged the City to re-evaluate its one-map-fits-all approach to building web maps for internal staff. The City adopted a new approach that involved creating focused applications for a group’s specific task and giving them only the tools they need to do their job. The City’s GIS and IT staff collaborated to devise a strategy to configure and deploy a suite of focused apps for different groups. 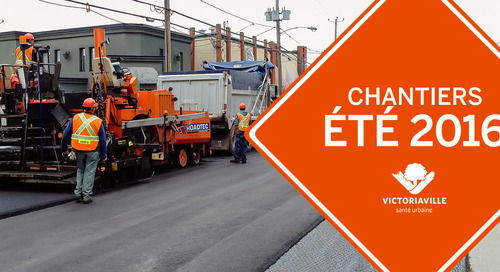 The outcome of this collaborative, agile approach to planning, creating and launching apps is a suite of web-based tools that has improved efficiency and productivity for City staff. Esri Canada has released a web app that shows current wildfires in Fort McMurray, Alberta along with related geotagged social media content, traffic and weather information. The app was used by the following news outlets to complement their news coverage of the wildfires: National Post, Calgary Sun and Chatham Voice. Over the past several years, Esri has been busy enhancing ArcGIS, transforming it into a web GIS and developing new solutions to help you and your organization achieve your goals. This geospatial metamorphosis is redefining what a GIS is and how it can solve your challenges: it’s definitely not your father’s GIS. Esri has released many new solutions to help you achieve this. Here’s an overview of three ArcGIS apps that can help you unlock your organization’s information. The International Year of Global Understanding (IYGU), which was launched at the beginning of February and runs through the remainder of 2016, centres on the idea that the local and the global are intertwined in manifold ways. For a year, IYGU will foster research, education and debate about both local and global processes with the goal of developing a blueprint for a new geographic view of a radically changing world. Several contributors had their content published or updated this month on the Community Map. Contributions to the World Topographic Basemap and the imagery basemap were included. 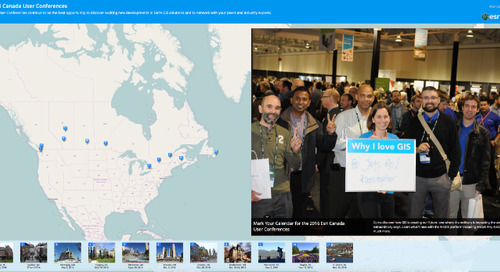 Scroll through the story map to discover what's new in Canada with regards to basemap content. June 29, 2016 — At the Esri User Conference, the Government of Yukon received the 2016 Esri Special Achievement Award in GIS (SAG) Award. The government was chosen from thousands of Esri customer organizations worldwide for their effective enterprise implementation of geographic information system (GIS) technology to deliver better services. The technology supports the government’s goal of making location-based data as widely available as possible, to both government staff and the public, to enable better decision-making and outcomes. View highlights from the Esri User Conference, including Esri President Jack Dangermond’s annual keynote address.